A phone shot at 6:45 am. I like Morning much more than I used too. I really enjoy the city when it’s quiet and the sites are coming up. 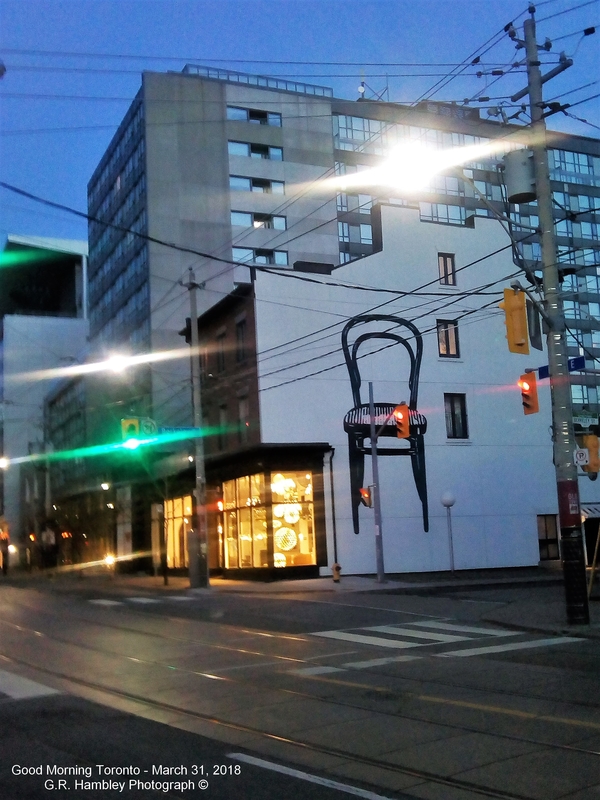 So that’s what morning looks like: rogue chairs floating in mid air. This is why I sleep in. Well if the Rogues were watching their chairs, we could all sleep in.